The AFC South is home to the AFC runner-up Jacksonville Jaguars. Will the Jaguars defense and an offense led by Blake Bortles continue to lead the division? Will the return of Andrew Luck and Deshaun Watson bolster their teams enough to again allow them to compete for the division crown? Or will the coaching changes in Indianapolis and Tennessee be the reason they again are at the top of the division? The NFL Draft and rookie minicamps have passed. NFL free agency is ongoing. Today I’ll take a look at what the teams of the AFC South have done in free agency to improve their chances for success in the upcoming season. The most notable signings for the Texans were in the secondary and on the offensive line, which was needed in order to better protect quarterback Deshaun Watson. In the secondary, cornerback Aaron Colvin was signed away from the Jacksonville Jaguars (4 years – 34 million – 18 million guaranteed) and former Arizona Cardinal, Tyrann Mathieu, signed a one-year deal and will likely play one of the safety positions. The safety group received some bad news recently with the Hodgkin lymphoma diagnosis to Free Safety Andre Hal and will likely lean on Mathieu and hope another young piece like Justin Reid can step up to fill the position in Hal’s possible absence. This defense will be good to great again if J.J. Watt is able to stay healthy and bolster the front three. The linebackers are very good and getting better and the additions of Colvin and Mathieu will help to get the secondary to where it needs to be. Along the offensive line, tackle Seantrel Henderson was signed from Buffalo, guard Zach Fulton from Kansas City and guard Senio Kelemete from New Orleans. Seantrel Henderson is only an average tackle, but he is an improvement over Chris Clark and Breno Giacomini who played tackle on this line in 2017. The biggest loss on the line is Xavier Su’a-Filo who started sixteen games at guard a season ago, but signed with the Tennessee Titans. The additions of Fulton and Kelemete will more than make up for this loss and help to improve the running game. The Texans will need additional help at tackle and, therefore, will need draft pick Martinas Rankin or another young player like Julien Davenport to step in and provide protection for quarterback Deshaun Watson. Watson’s athletic ability will make up for some pass protection deficiencies, but over the course of the season the line will need to improve to compete for a possible playoff spot. The Texans have also re-signed cornerback Jonathan Joseph, running Back Alfred Blue, receiver Bruce Ellington and Brandon Weeden to compete for a backup quarterback position. The player the Colts would most like to add for the upcoming season is Andrew Luck. He is finally throwing and seems confident he will be ready for game one! Luck will return to an improved team that had success in the 2017 NFL Draft and has added more pieces in the 2018 NFL Draft and free agency. In free agency, the Colts added Matt Slauson from the Los Angeles Chargers to add depth at the center and guard positions. They also added Austin Howard from Baltimore to compete for the right tackle position. Ryan Grant was added from the Washington Redskins and should compete with Chester Rogers for the WR2 position. Perhaps the best signing though was the addition of Eric Ebron from Detroit. Ebron is a receiving tight end who should be a good match for this offense to pair with tight end Jack Doyle. This will give Luck another big target — especially in the red zone. On defense, the Colts added a couple of players who should see a lot of playing time. Denico Autry, from the Raiders, will join the defensive end rotation and Najee Goode, from the Philadelphia Eagles, will compete for a starting linebacker spot. The Colts lost a few players as well. Long time running back Frank Gore has moved on to the Miami Dolphins and receiver Donte Moncrief signed a one-year deal with the Jacksonville Jaguars. Neither are huge losses. The Colts get younger at running back as some of their recent draft picks will compete for the starting job and though Moncrief was a favorite red zone target, his inability to stay on the field will probably be what he is remembered for the most. There weren’t many big names in the free agency signings for the Titans this year with the exception of a couple of former New England Patriots. On offense, running back Dion Lewis is the most notable signing. Lewis had over 1,000 yards combined rushing and receiving along with 9 TDs. He should provide a nice one-two punch with Derrick Henry in the Titans backfield. Henry will provide the power and Lewis will provide the quickness. The Titans also signed some depth along the offensive line in guards Xavier Su’a-Filo from Houston and Kevin Pamphile from Tampa Bay. Blaine Gabbert is also an improvement at quarterback to backup Marcus Mariota and gives the team some hope to win games if Mariota were to get hurt. On defense, one of the Patriots who did not play in the 2018 Super Bowl, cornerback Malcolm Butler, is the most notable signing. Butler should immediately step in and start for this defense alongside another former Patriot, Logan Ryan, and 2017 draft pick Adoree’ Jackson. The defense is improving with a nice mix of young and veteran talent. The biggest losses in free agency for the Titans came on defense. Nose Tackle Sylvester Williams returned to the Denver Broncos and Linebacker Avery Williamson signed with the New York Jets. Williams was a rotational piece on the defensive line and Williamson will be replaced by first round draft pick Rashaan Evans from Alabama. Jacksonville wasn’t as active in free agency this season as they have been in the last two seasons, but they didn’t need to be. The draft picks and free agents of the past have paid off getting them all the way to the AFC Championship game and nearly to the Super Bowl. The pieces the Jaguars did add should help. Andrew Norwell, a guard from the Carolina Panthers, was signed to a five-year deal making him the highest paid guard in the NFL. Obviously he will start and help to open up some holes for the running game — which were rare last season. Donte Moncrief was added from the Colts to possibly replace Allen Robinson as a deep threat. He was only signed to a one-year deal, so we will know more by the time camp is closing if he has earned the starting nod. A piece that is sure to help the passing game is tight end Austin Seferian-Jenkins by way of the New York Jets. Jenkins seems to have turned the corner on his career after a good season with the Jets and a rough start to his career with Tampa Bay. He lost weight and was noticeably quicker in his routes last season which lead to the two-year deal with the Jaguars. Jenkins could be an important piece in this offense. He is an improvement at the position Mercedes Lewis has held for several years and could creep up into the top-15 tight ends in the NFL range this season. Receiver Marqise Lee was also re-signed to a four-year deal. The biggest loss from last year’s team is cornerback Aaron Colvin, who signed with the rival Houston Texans, but for the Jaguars he was the third best corner. Receivers Allen Robinson, to Chicago, and Allen Hurns, to Dallas are also big losses, but the Jaguars reached the AFC Championship game without them and were unwilling to re-sign them for the prices other teams were willing to pay. I think this is a smart move on their part in continuing to play the receivers who played well for them last season and adding depth in the draft. 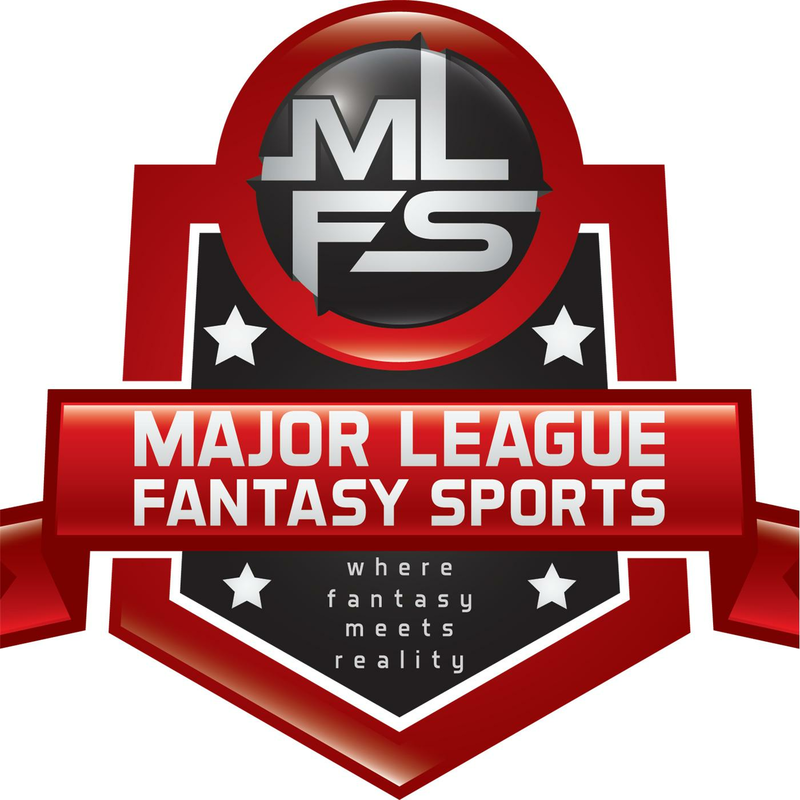 At Major League Fantasy Sports we will be looking at Free Agency for every team over these two weeks. I’ll be back next week with a look at the NFC South: Carolina, Atlanta, New Orleans and Tampa Bay. Major League Fantasy Baseball Radio Show: Join host Brian Roach, Jr, and Cole Freel live on Sunday June 10th, 2018 from 8-9:30pm EST for episode #124 of Major League Fantasy Baseball Radio. We are a live broadcast that will take callers at 323-870-4395. Press 1 to speak with the host. We will discss the latest information in the world of fantasy baseball. Our guest this week is Professor Mark Rush. Mark is the Political and Legal Professor for Washington & Lee University. He is also the Chief Editor for majorleaguefantasysports.com, and also an author. Jeff is a defensive coach from White Hall and Freedom H.S. football teams. He is currently taking the year off from coaching, but will be joining us on our football shows from time to time throughout the year.